On behalf of Matterhorn Asset Management AG / GoldSwitzerland, Zurich, Lars Schall spoke with Peter Boehringer, initiator of the German public campaign “Bring Back Our Gold“. 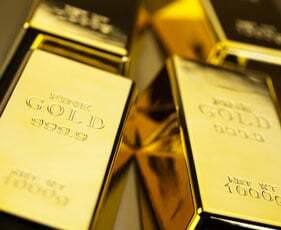 They discuss the importance of national gold reserves and the problematic state of the German gold reserves, officially the second largest gold reserve in the world. Boehringer points out the many shortcomings of the custodian of the German gold which is the Deutsche Bundesbank. Peter Boehringer is a licensed and fully independent asset manager for private clients and asset consultant for institutional investors and funds. Active in stocks, bonds, real estate, raw materials and precious metals. He founded PBVV Vermögensberatung in Munich in 2003 and is a founding board member of the German Society for Precious Metals. He is also the initiator of the internationally acclaimed Citizens’ Initiative “Holt our Goldheim” www.gold-action.de (since 2011) and author of the book by the same name (2015). Peter Boehringer has authored numerous technical papers on precious metals and commodities as well as macro-themes. He also has been awarded the “Roland-Baader-Award” and is a member of the Friedrich A. von Hayek Society. Prior to 2003, he worked for ten years in various positions at international companies, including Booz & Co Inc., Technology Holding GmbH, 3i plc and the European Telecom Holding AG. Peter Boehringer has a degree in business administration and computer scientience (European Business School).